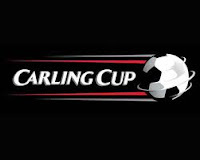 Boro recorded their fifth consecutive win on a night which saw Barry Robson and Seb Hines propel the team in to the 3rd round of the Carling Cup. Robson struck on 4 minutes with a low strike from a Joe Bennett through ball and Seb Hines made it 2-0 heading home a McMahon corner. In the second half Danny Coyne was impressive keeping the home side at bay. Game Highlight - Another away win!